The Indian DGCA has declared Patna Airport unsafe for Airbus A320 and Boeing 737-size jets and ordered the Airports Authority of India to limit the runway length available. Patna Airport (PAT/VEPT) currently has a 1,954-metre-long runway 07/25. On the west side there is a railway line and tall trees. On the east side there is a zoo with a botanical garden. The DGCA had requested the state government to remove several trees but it appeared “that removal of obstacles within a given period is unlikely”, according to the DGCA as quoted by the Times of India. 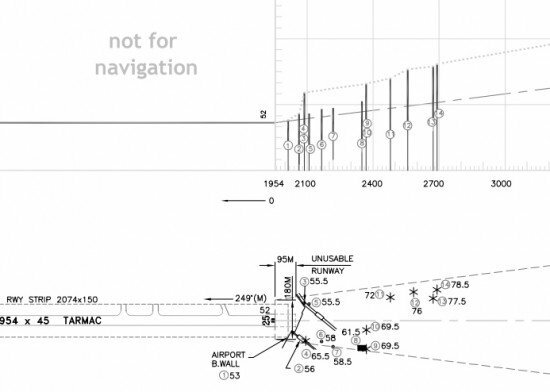 The AAI was requested to limit the Takeoff Run Available (TORA) from 1,954 m to 979 meters on one side and 1,179 meters on the other. In July 2000 a Boeing 737 crashed when it stalled during a go around at Patna Airport, killing 55 on board and five people on the ground.